On Tuesday I had the opportunity to watch a live broadcast of TWiT TV’s MacBreak Weekly, a 2-hour internet broadcast (netcast) discussing all things concerning Apple products. 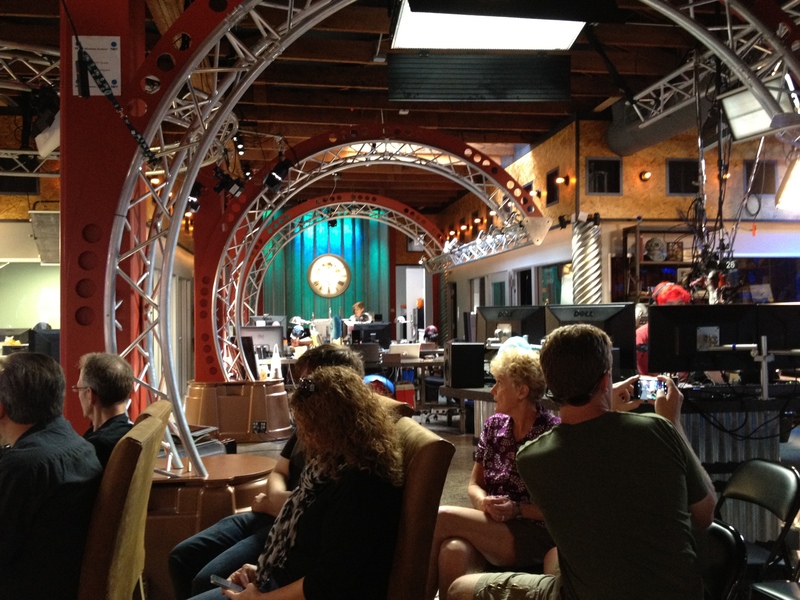 TWiT TV’s Brick House studio is located in downtown Petaluma. The studio sets were designed by Emmy Award winner Roger C. Ambrose , and took me by surprise; I had no idea such a thing existed in Petaluma! The set design is fantastical, highlighted by a series of trussed arches. Interiors, sets, furniture, props, and lighting have been carefully designed and crafted down to the minutest detail. If you have the opportunity, there is no charge to view any of TWIT TV’s several netcasts. I happened to be interested in the subject matter, but would have been perfectly happy spending 2 hours sitting, absorbing the incredible design of the studio interior and set. ← Yuba College – Clearlake Campus Nearing Completion!